Master Water is a national water systems supply company who contacted us to redesign their existing website, which needed many unique and interesting features. The site they needed would include a distributor locator map which would map out the nearest distributor location based on the visitor’s submitted zip code. They also needed a password-protected membership area for their distributors to be able to login and access private documents and information. For consumers, they needed a full instruction book archive library, where all products could be organized with a downloadable instruction book in PDF format. This site has so many features behind the scenes, we can not list them all here! 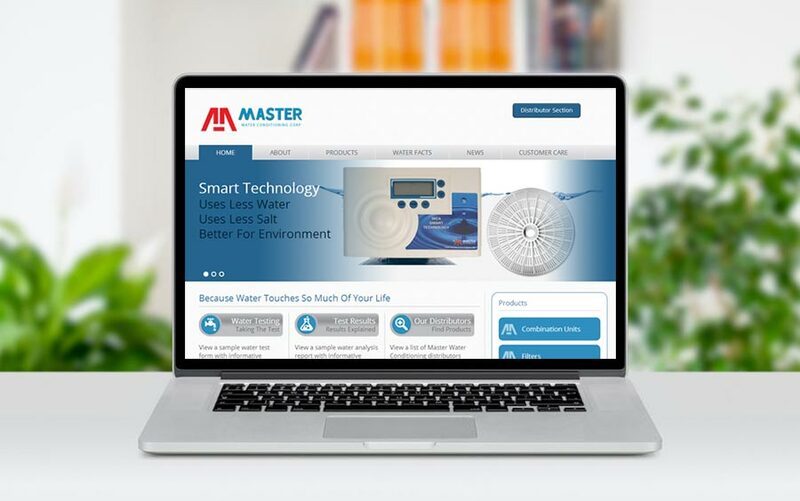 It was a pleasure working with the staff at Master Water, and we continue to service their website. Bill was a pleasure to deal with at McQ Web Design. We hired Bill to fix our website that was originally designed by another company. We decided to go a different direction and have the entire website redesigned after learning what Bill could do. This was a big project for us which is vital for our business, as we have over a hundred distributor that login and access the site daily. Bill, we could not be HAPPIER with your service and the quality of the site. Thank you!